Our professional Gutter Cleaning service includes full gutter & downpipe cleaning. We utilize high tech Vacuum systems that assist in us delivering a high quality service. Book Your Gutter Cleaning Today! When you need your gutters cleaned properly, Mario’s Gutter Cleaning will make the entire process fast, affordable, stress-free and leave you with immaculately clean gutters and down pipes using our state of the art, truck mounted, vacuum suction technology. Excellent service, the guys were polite and friendly even arriving early. Done quickly with no mess left behind and showed me pics of the work before and after. Highly recommended. From the moment you contact us our experienced staff will be able to provide an immediate gutter cleaning quote estimate using the information you provide about your property, and also viewing the property on Google Maps. If you accept, we then book in a time and one of our highly experienced and qualified gutter cleaners will arrive on time, prepared and ready to get the job done. We first reconfirm the price for the gutter cleaning job after an onsite inspection before starting to make sure you are happy with the exact cost beforehand. After assessing the risks our vacuum gutter cleaning specialist will adhere to all safety requirements and complete your gutter cleaning efficiently while clearing out all those hard to reach areas using our powerful vacuum cleaners. Because we use commercial grade vacuum technology all the debris from your gutters is captured in our machines – not pulled out by hand onto your property or blown out with a leaf blower leaving behind a nasty mess. Because gutter cleaning is our core business you can be confident in our professionalism, service and immaculate gutter cleaning results. Any mess that does slip into our vacuum will be thoroughly cleaned, ensuring we leaving your property tidier than when we arrived. 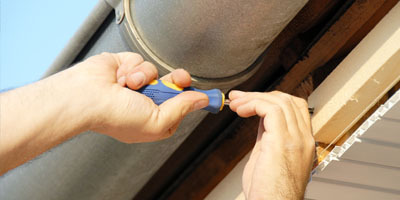 We get deep down into your downpipes too, this ensures a complete roof gutter cleaning Sydney. At Mario’s Gutter Cleaning we pride ourselves on providing a consistently professional, trustworthy and reliable service in Sydney to our loyal and valued clients. We strive daily to improve our training and efficiency so we can continue to offer the best gutter cleaning prices in Sydney. If you’re looking for a professional and reliable company that provides roof and gutter cleaning Sydney wide, then Contact Mario’s Gutter Cleaning today for a free no obligation quote! It is a bold claim saying that we are the best gutter cleaning team in Sydney, but we are not saying that – our customers are! Our team of professional gutter cleaners are genuinely down-to-earth and modest, Check the awesome testimonials that our customers leave us. Why Choose Mario’s Gutter Cleaning? 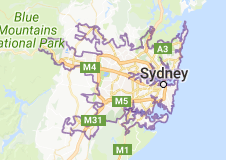 Operating over 20 years in the Sydney region, we are No. 1 when it comes to Gutter Cleaning. Trades monitor accredited and also licensed and insured for your peace of mind. Mario’s Gutter Cleaning Expert is the premier Gutter Cleaning, Gutter Repairs & Replacement and Gutter Installation team in the Sydney Metro Area! 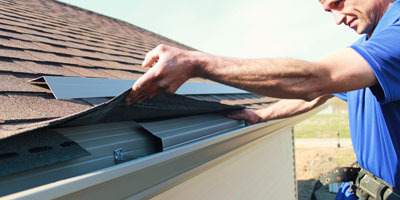 We offer fast, same-day service using cutting-edge gutter cleaning technology. Our team of highly-trained gutter cleaners will make sure that the gutter cleaning is taken care of correctly on their first visit. We’ve been providing domestic & commercial clients in the Sydney, NSW area with gutter cleaning, gutter repairs & replacement and gutter installation services for over 10 years, so you can trust us with your gutters. Get in touch with us today on 0428 800 900 for a free estimate on all your gutter needs. You can’t afford to let just anyone Clean your gutters in Sydney. 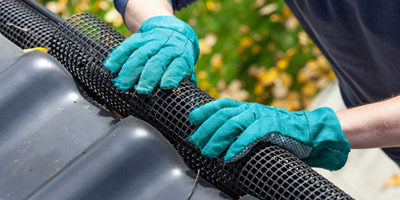 Gardeners, handymen, and unqualified, uninsured gutter cleaners can cause more damage than good, breaking tiles, working unsafely, overcharging and leaving a mess around your property because they don’t have the specialist tools for the job. All our professional gutter cleaners are fully qualified gutter cleaners who have completed their trade and are just as comfortable working on pitched roofs as they are on the ground. We pride ourselves in the level of quality work that we can provide for our customers. 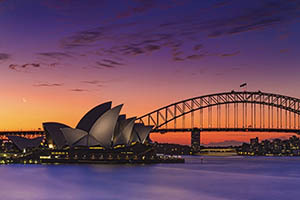 To make sure we consistently deliver a quality gutter cleaning service in Sydney. We ensure our job is completed to perfection every time, therefore ensuring our customers are happy with our service.